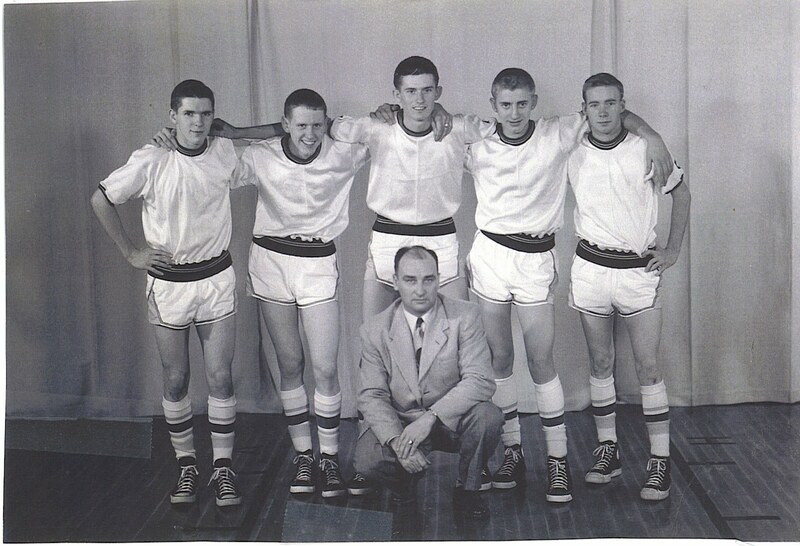 "The team of 1952-53 had the best record of Jack Hester's career with a 20-3 mark. Mort Kimmel shown in the middle scored 300 points his junior year and posted 514 for his career. 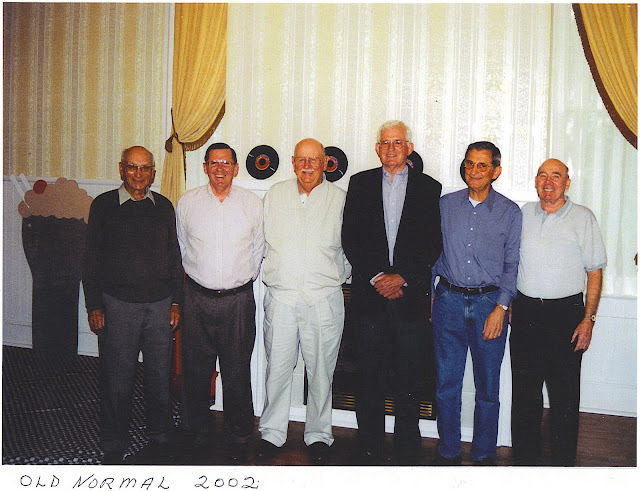 Gerald (Red) Hart (on the far right) scored 510 for his 3 year career. Harley Barnard on the left was the playmaker, Fred Brennan (second from left) was the defensive star and Wally Lewellyn (second from right) was the all-purpose star. He could score, rebound and play defense." I keep thinking that for someone who was a real athlete, being limited in what he can do must be even more frustrating. Wish you luck with your Dad. US healthcare still has a lot of issues to sort out, and this kind of situation is exactly the kind of thing that needs fixing.